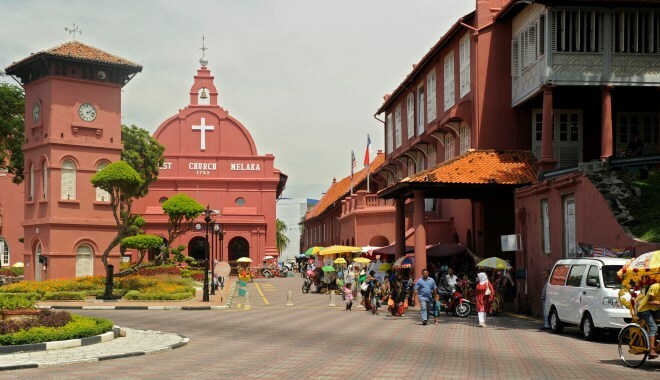 This tour comprises of a 2 day 1 night tour to the Historical town of Melaka. Visit the old shop houses and embrace the old town culture, heritage sites and landmarks across the city that give it its very own flavour and allure. Melaka is also a food haven, home to mountains of delicacies and the best Malaysian food there is to offer. Food lovers will not get enough, and would leave their mouths watering throughout. This is surely a truly Malaysian destination you do not want to miss out. Arrive in the morning to the historical town of Melaka and proceed to the hotel for check-in. Settle into the rustic background of trishaws, antique buildings and laid-back culture of the locals, as the rest of the morning is left for free and easy. In the afternoon, head over to Melaka’s favorite street – Jonker Street, that features almost everything from souvenir shops, delectable local foods like the curry laksa, char kuey teow, asam laksa and the delicious cendol and ice kacang. Numerous shops sell cookies, local produce as well as the famous durian puff and pineapple tarts that worth for a try. After satisfying your shopping urges, proceed to visit the Baba Nyonya Heritage Musuem. Known also as the Straits Chinese, the Baba and Nyonya are a class of distinct race of Malaysians that originate from a mix of Chinese nobles that adopt Malay cultures into their lifestyles. History writes of the famous admiral Cheng Ho who visited the ancient capital of Melaka 400 years ago, that started intertwining of cultures to what we can see in Melaka today. The structure showcases many historical and unique artefacts, where you can take plenty of photos and is a perfect place to learn and explore the exciting and proud history of the Baba and Nyonya. After that, head on over to visit a series of historical and heritage sites that stand tall and proud to tell the glorious tale of Melaka’s past. The first is St. Paul’s Hill, which stands the white chapel of St. Paul’s Church. The original structure, dedicated to the Virgin Mary was built in 1521, and is today a part of the famous A Famosa ruins. It is also the holy burial grounds of many distinct nobles, including the second Bishop of Funay, Japan. Afterwards, pay a visit to the salmon pink Dutch Hall, The Stadthuys. Known also as the Red Square, this historical structure was the centre of administration during the Dutch era, and is today a museum of history and ancient artefacts. One can find invaluable relics, traditional costumes distinct to local and Dutch culture, as well other historical mementos and tokens that lasted throughout the ages. Lastly, visit the Christ Church, a 18th Century Anglican house of God, and the oldest running Protestant Church in the country. Marvel at the red washed paint work and the distinctive architectural designs that still have Dutch as well as Roman influences today. Take fantastic photos, and experience what life was like during ancient times. After dinner, take a relaxing walk along the newly built esplanade along the Melaka River, which comes alive with activity at night. 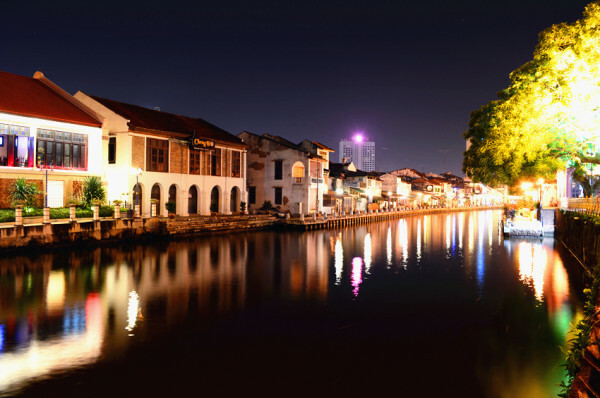 Situated next to Jonker Street, the river offers a river cruise that brings you across the winding Melaka River to see the breathtaking views around Melaka City. Transcend into a whole new level of experience as the lights, sights and sounds of the city explode with vigour and youth, and enjoy the cool breeze caress your cheeks. After a long day, head back to the hotel for a good night’s rest. Start the day with a hearty breakfast, and proceed to the city centre once more. Visit the Maritime Museum, which resembles large ship visible miles away. The ship is a replica of the Portugese ship ‘Flora de La Mar’ and was opened to the public in 1994. 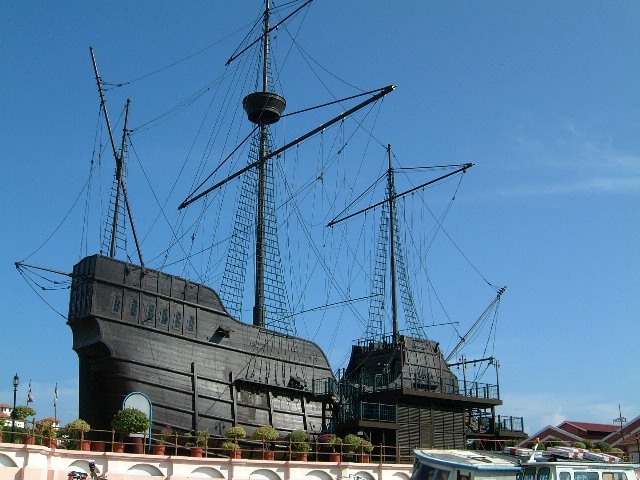 It highlights Melaka’s importance as the centre of trade routes between the East and West, exhibiting the many rare and unique artefacts, relics and heritage remains from the golden days when Melaka was the maritime dominance in the region. Here one can take wonderful photos, as well as explore the history of the town in deep detail. 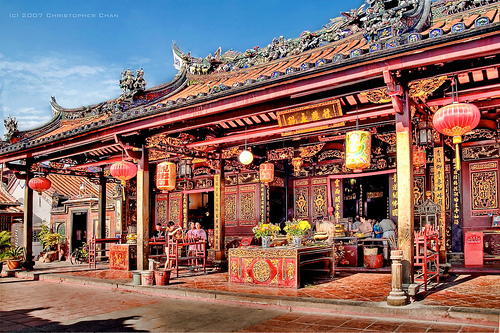 After, proceed to the Cheng Hoon Teng Temple, the oldest functioning temple in Malaysia. One can experience the three doctrines or religious concepts that infuse Taoism, Buddhism and Confucianism, and are heavily decorated with vivid paintings and statues that depict beautiful Eastern dainties. Here, visitors can also find multiple complex halls and prayer rooms, where the locals will come and pray for blessings, health and prosperity. Marvel at the architectural finesse as you experience the spiritual auras of the ancient Chinese culture surround you. After a fulfilling morning of touring, the tour should comes to an end. Pack up your belongings and head home, as you bid farewell to the wondrous city of Melaka. One of the best signature boutique hotel within Melaka city centre. Centrally located with spacious rooms and pleasant in house service. One of the most preferred hotels in Melaka, linked to Dataran Pahlawan with plenty of shopping and F&B choices. Located within Jonker Street with easy access to restaurants and attractions.